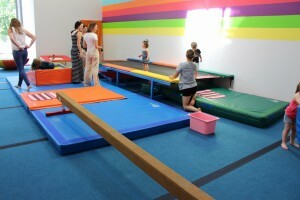 If you're looking for an amazing gymnastic class for your child, Jump Gymnastics is the place to be. 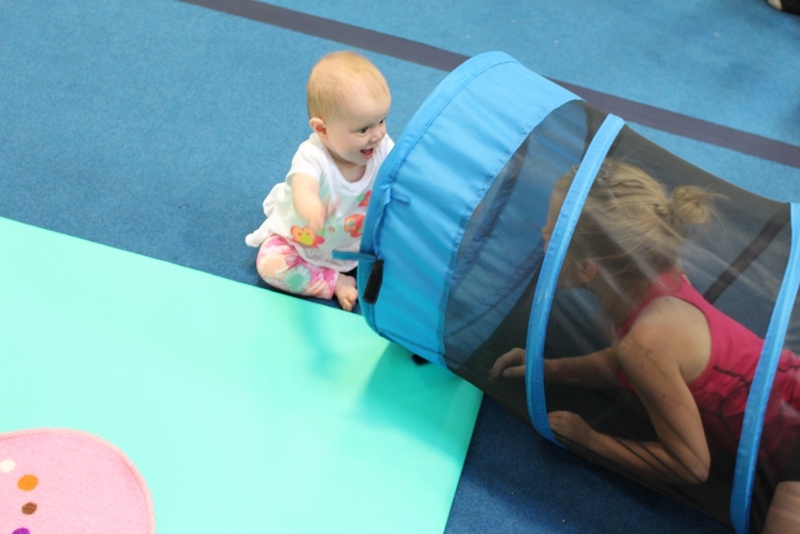 With a bright, playful, and fun environment, Jump Gymnastics North Vancouver has set the stage for a wonderful playtime for your kids to gain confidence in their play, get the heart pumping, learn something new and have fun! We attended the grand opening of their new location just off of Dollarton Highway in North Vancovuer this past Friday, June 5th, where they had plenty of fun activities outside with incredibly friendly staff with popcorn and cold Johnny Pops to await us when our class was finished. The gym has several balance bars at different heights, a few trampolines to bounce on and the softest of floors that are incredibly gentle on the feet, muscles, little bellies. Most kids seemed to be really drawn to the ball pit and rings, but all in all, every single one of these kids had wonderful smile on their face and sweat on their foreheads from bouncing around doing free play for 30 minutes. From ages 6 months to 8 years old, they have 7 different programs to choose from. Classes are 45 minutes long, which is the perfect length of time to enjoy the neighborhood amenities in a new and upcoming North Vancouver neighborhood or view from the cozy parent lounge! 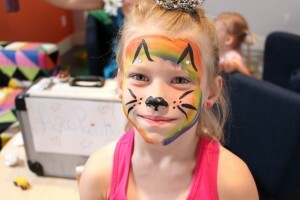 To finish off this lovely afternoon with our new friends at Jump Gymnastics, we got to do some lovely crafts upstairs, enjoy a Johnny Pop and have our face painted by the most talented fairy with Belle's Party Parade. It was a was a lovely afternoon, full with a lot of bouncing, fun and many new little friends! If you're looking for a fun way to bounce the energy out of the kids, come rain or shine, Jump Gymnastics promises to deliver many happy memories and new friendships!